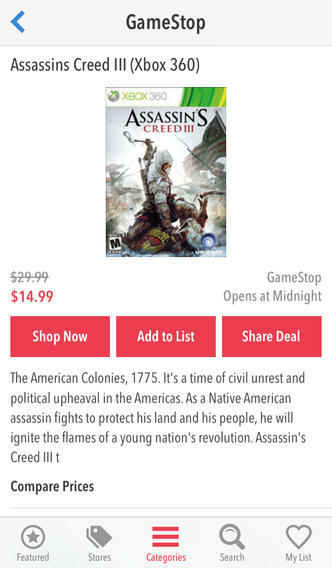 The TGI Black Friday App is available for iPhone, iPad and Android. For app help and support please email help@tgiblackfriday.com. 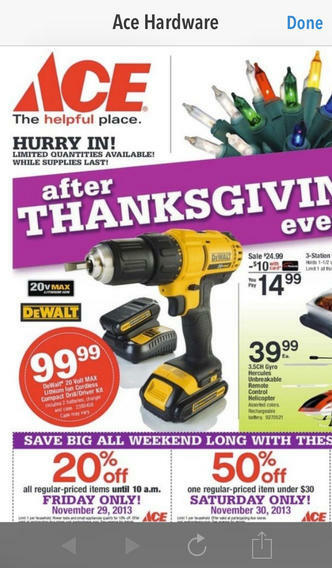 View Black Friday ads for all major retail stores, with frequent updates. Search thousands of Black Friday deals across stores and categories. Create a personal shopping list to check off items as you purchase them on Black Friday. 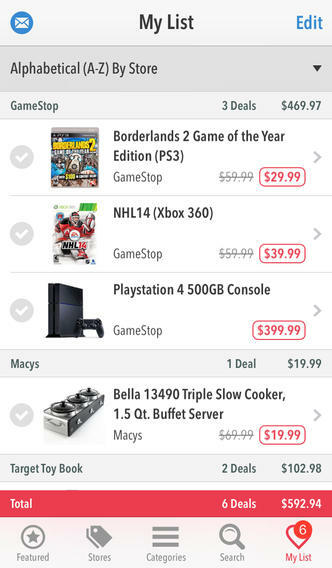 Compare prices for items to confirm you are getting the best deal on Black Friday. Shop online for items that may be available before Black Friday. 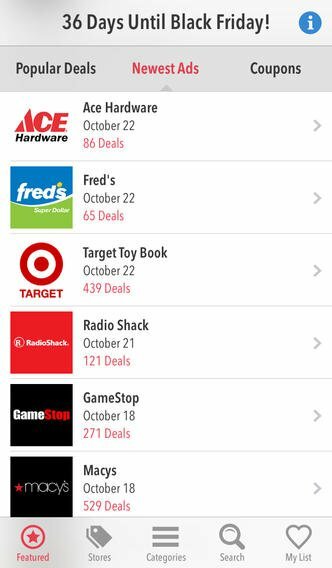 Check out our press page to see where our Black Friday app has been featured.